We can all agree that traveling with children is not the most relaxing event in the world. I don’t care if we’re driving down the road to the grocery store, they’re bound to have a fit at some point and as Mom’s and Dad’s we have to be prepared for that by planning ahead so we can divert breakdowns for them and for ourselves! We are going on vacation in a couple of weeks (for a week) so here are some tricks I use to make the whole trip a little easier on all of us. probably one of the hardest things to do when kids are involved because you never know WHAT you’re going to need. When Brandon was a baby, Kevin and I had a few arguments about packing because I always got stuck doing it for everyone and that’s stressful. We downloaded the Checklist app on our phones and that has been SO helpful. You can make lists for different destinations, each member of the family or things to do to your house before leaving. This way, Kevin can pack if I’m busy. Tip – make the list, and make it thorough! Or make a winter list and a summer list so it’s not so general. 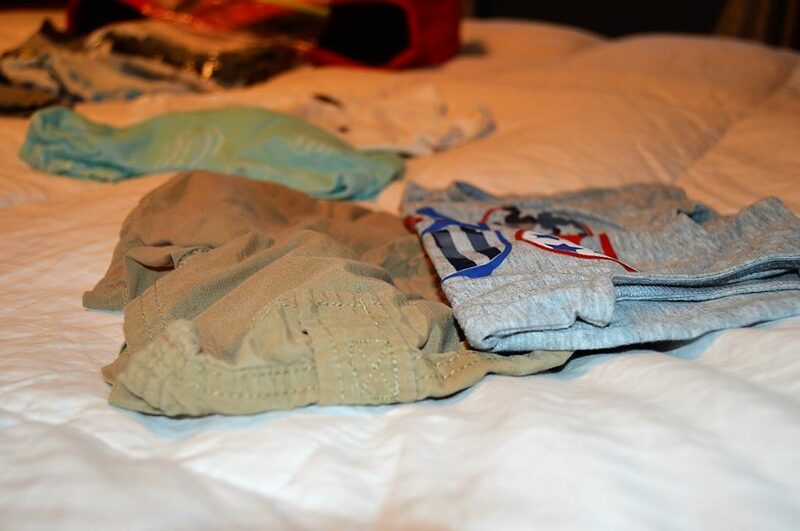 i pack the number of days in outfits plus two more, two pairs of shoes, two bibs, two or more sets of PJs, a hat, sweatshirt and sweatpants (even if it’s summer) and bathing suit. 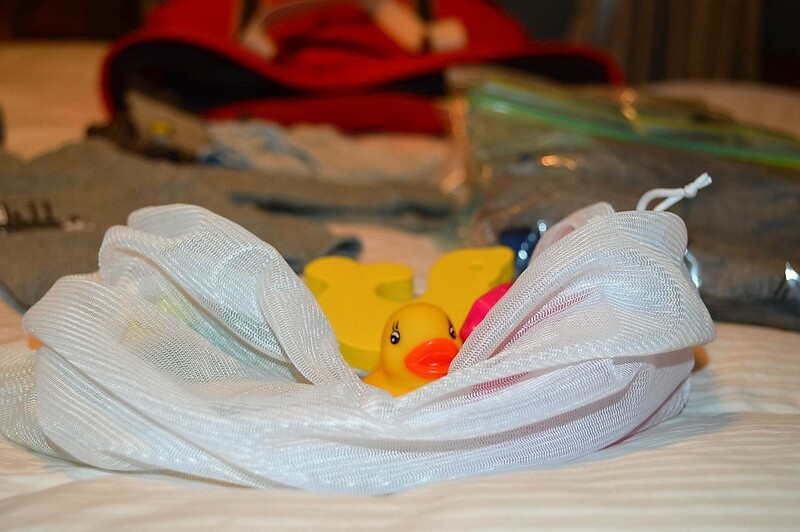 I keep a mesh bag in Brandon’s suitcase of bath items (two toys, two wash cloths, travel baby wash and a toothbrush – also a nightlight) – keeping the little things always packed has been helpful. 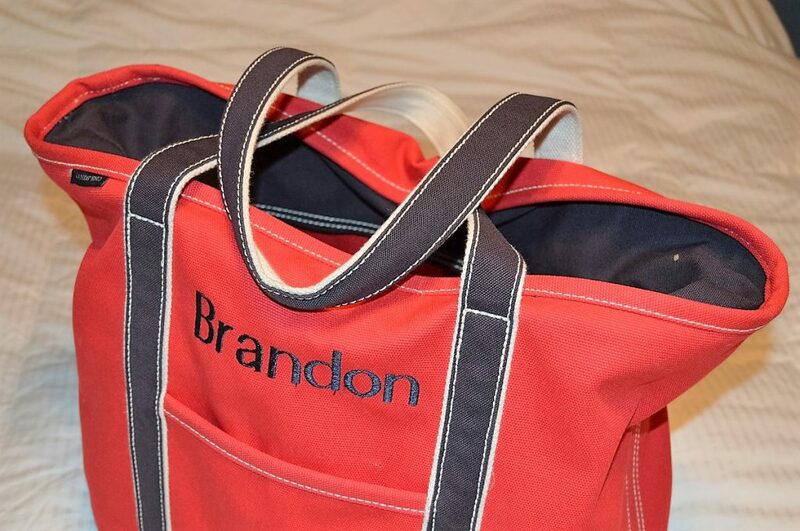 diaper bag – when traveling, we always use a backpack as a diaper bag because now that Brandon is walking we need both hands free at all times. 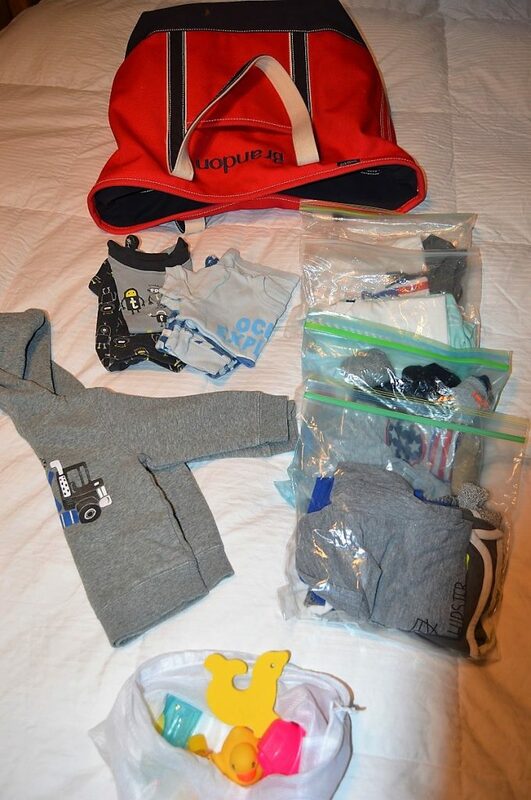 Make sure the diaper bag is stocked with diapers, wipes, powder, sunblock, snacks, toys and a change of clothes in a bag. Are you bringing a stroller? Which one are you bringing – we have a 2-in-1 stroller as well as the small umbrella stroller. What high chair? We have the travel Ciao Baby high chair and a booster seat – both great options for travel (by car). pack enough diapers to get you through a couple days. Diapers are heavy and take up space, if you’re going to a populated area, leave the diapers at home and buy them once you arrive. bedding. We travel with the pack-n-play since Brandon is still too small for a bed. We bring one stuffed animal that is always in the crib with him along with two blankets (one thin and one heavy), pacifier and monitor. extras. I have learned to pack the tylenol/motrin on every trip. You NEVER know when that tooth is going to want to come through or a stomach bug will hit. Being prepared makes the middle of the night a little smoother when the little one spikes a fever. You think you packed enough snacks? Pack more. Think there’s enough toys? Buy a couple new, inexpensive goodies. The change might snap him out of the fit he’s having and make everyone happy. Brandon is still a little too small to really care about new toys and special treats, but I do have a couple little things to give him while enjoying the shore. travel around nap or bedtime. Sometimes that can be difficult because of traffic. Leave mid-morning, stop for lunch around normal lunch time and plan for a nap on the second leg of the trip. try to get situated as SOON as you arrive. 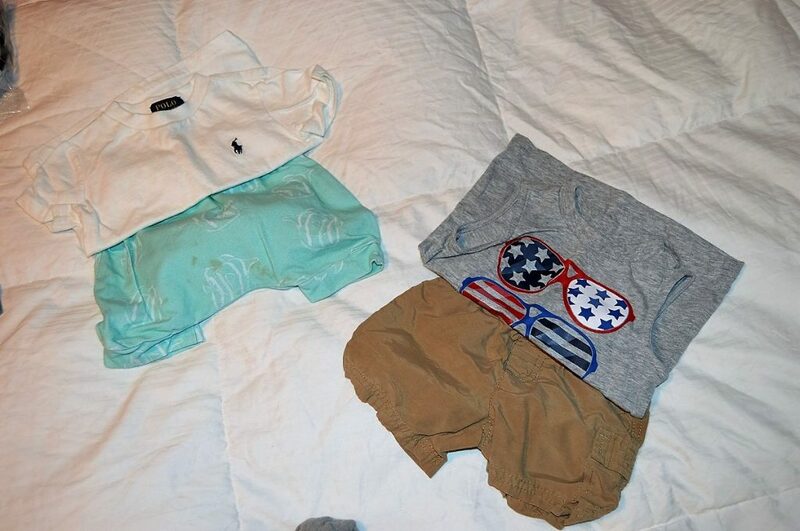 Set up the crib, changing station and lay out toys and clothes. Make the littles get as settled and situated as possible so when it’s time for a nap or bed you aren’t running around, it’s smooth sailing into your routine. routine. Try to stay on track. I know it’s difficult on vacation – meals are scattered, late nights, more excitement…but try to stick with what you normally do, even if it’s an hour later. fun. 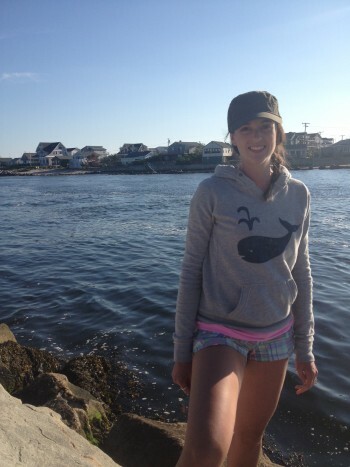 Vacationing with kids can be completely stressful (I’ll be the first one to admit that). After being a handful of trips with Brandon I have learned to just go with the flow and enjoy life. While routine and keeping life the same is important, you can’t let it rule you. This entry was posted in Uncategorized and tagged Packing, Toddler, Travel on July 17, 2016 by Danielle Laroche.